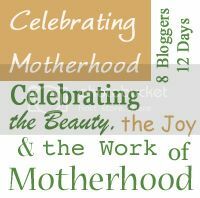 This week and next, we are celebrating everything that is motherhood! Today, I want to encourage your momma heart with words I heard over the weekend at the Titus 2:1 Conference. I was privileged to be able to soak up Rachael Carman‘s words of wisdom and experience, and I want to share just a small portion of the notes I took. Even though she was addressing homeschool moms considering high school, her words apply to moms across the board. That last point is a very important one to embed in our hearts. Our God can take all our mess-ups, failures, and gaps as moms and redeem them. He can turn them into something beautiful in the lives of our children. I don’t know about you, fellow moms on the journey, but I often feel so inadequate to be able to parent well. To know that God can take all of my inadequacy and still use me to bless and train my kids is humbling and incredibly freeing. I don’t have to be perfect, or always do it “right.” He can take my feeble attempts and create good. Moms, give yourselves the gift of grace today. 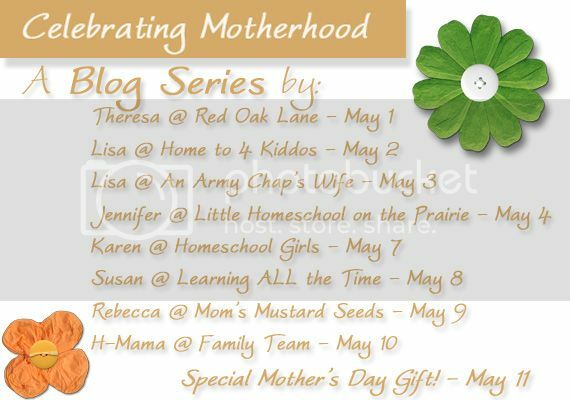 And don’t forget to join Jennifer at Little Homeschool on the Prairie tomorrow for more encouragement! OH, his gift and beauty of grace…and the knowledge that I am inadequate, but he LOVES me and my children…and he has a plan that goes far beyond anything I could EVER imagine!!! Thank you for this beautiful gift! Grace is a beautiful gift, isn’t it? And it’s one that He freely gives to us but we often forget to give to ourselves! I am so, so thankful that you have participated in this with this message! Thank you, Lisa! I’m so glad you asked me to be a part of the series! When I heard those words at the conference, my heart breathed a huge sigh! I was greatly blessed by them! How incredible that the Lord can take all of our “mess-ups, failures and gaps as moms and redeem them.” Wow. What powerful words. We truly have an awesome God, who loves us and our children so much. Thank you so much for this encouragement! We do have an awesome God, and I am so grateful that He works things out for good! Knowing that His plan is perfect is what gets me through the days sometimes! Wonderful thoughts friend! I’m so very glad He has a plan already in place for my kids!